Recently and I don’t know why it could become such a coincidence, I come to Hotel Bumi Surabaya 3 times in a week. Yes, 3 times in a week, and this is an all you can eat hotel restaurant. Imagine how my fat keeps growing, hahahaha! 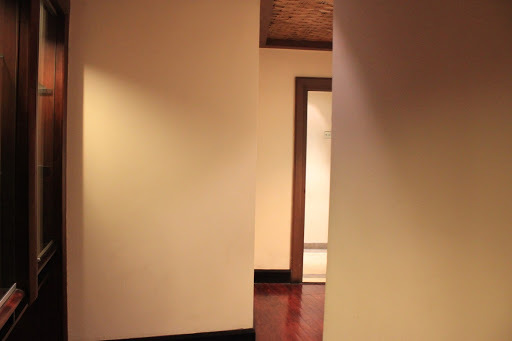 Hotel Bumi Surabaya offers an affordable price for each person. During my 3 times visit, I ever sit inside Arumanis, in Kizahashi, and then in the back side of Arumanis. 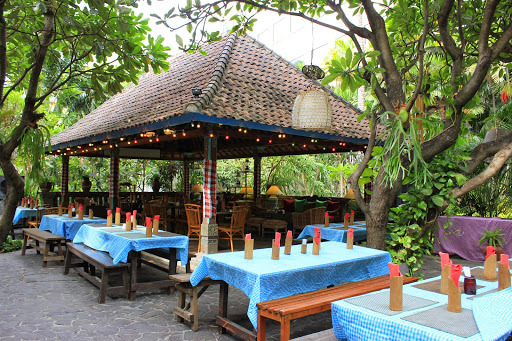 Overall, I’d suggest you to sit in Kizahashi, because the area is more comfy and elegant. I never try to sit outdoor, because the wind is too strong and it’s a bit hot. If you take dinner, maybe outdoor is better so it will be more romantic. 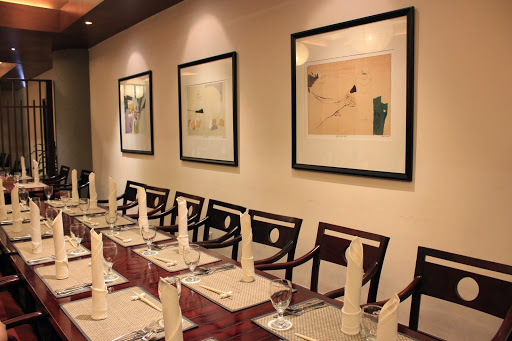 For your information, the two restaurant (Arumanis and Kizahashi) are connected. So if you want to go inside out, no need to go outside, and then walk a bit further. 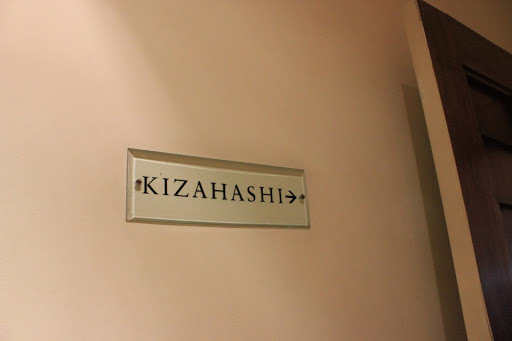 You just need to go into this hallway, and then found the Kizahashi sign outside. 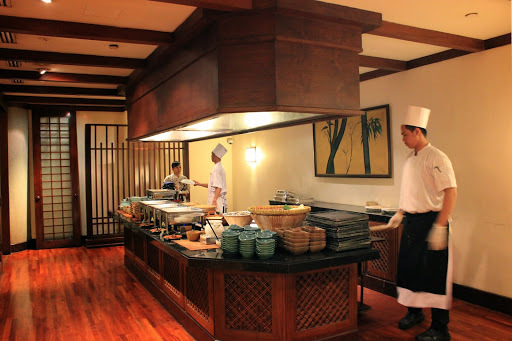 Representing the name, Kizahashi means a Japanese restaurant. In the grill, there are meat, 2 kinds of chicken, vegetables, and fried rice. Overall, I think the chicken taste better than the meat. The meat is kinda cold and not warm enough even though the chef grill it in front of you. 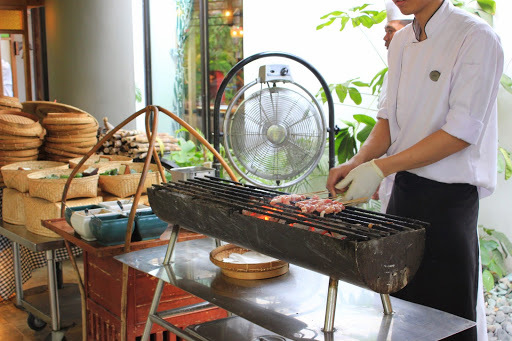 Also, be prepared to queue, especially at weekend, since this grill spot is become a favourite spot of the customers. 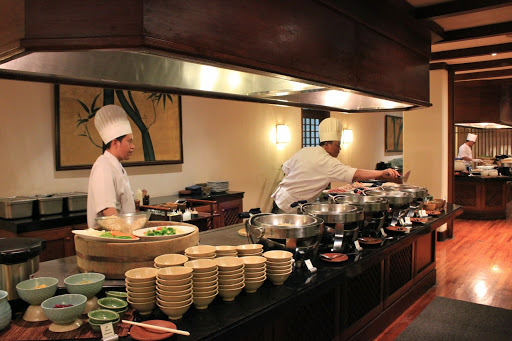 In soup area, there are cawan mushi, miso soup, noodle with soup, red meat, boiling vegetables, and fried tempura. I love this table side very much! Especially, because the red meat is just too yum! The noodle soup is also really delicious. The Tempura is really crunchy and a must grab. Be prepared to queue again and fight for your Tempura if it’s on weekend. Hahahaha. Unless, you go a bit earlier than the others so that you can grab it in peace and get a bunch Tempura for your tummy. I prefer the soup table rather than the grill one. There are Chinese food, Indonesian food, drink selections, and fruits. Honestly, I don’t really like the Chinese food here. For the Indonesian food, I never tried one because what they offer here is not my favourite Indonesian food. 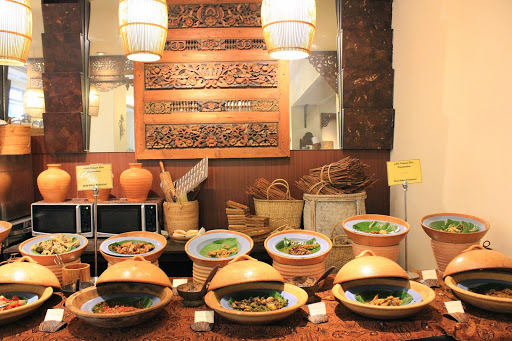 They have a very wide selection of Indonesian traditional food (Ceker, Pepes, Babat, others) and the customers can order Rujak and Gado-Gado also here. For the drink selections, I’ve tried all of them, and I’d suggest you to take the Strawberry Tea. Believe me, it taste really good and also sweet! 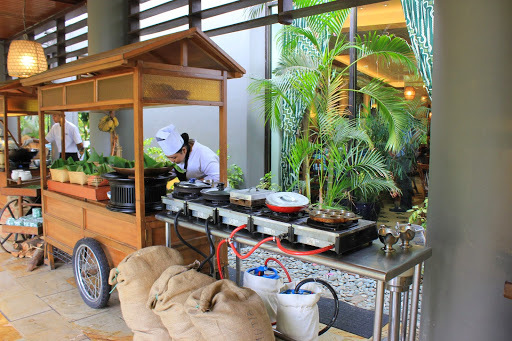 The outdoor one also offers a wide selection of Indonesian food and also blend with omelette, and western dessert such as pudding. On the stall 1, you can found Omelette. You choose the fillings of the omelette. There are cheese, mushroom, onion, vegetables, and others. Same like the others, if there are too many people queue, you can order first, leave it, and take it later on. It’s also for the customers own convenience. Next to it, there is a waffle and ice cream stall. 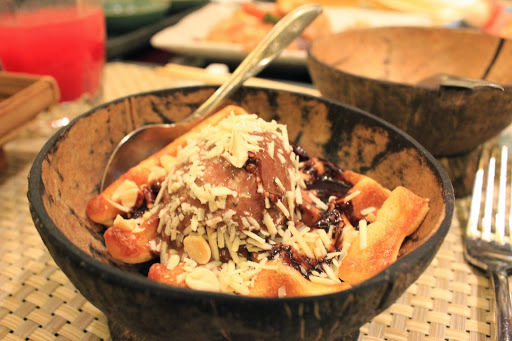 Here, you can choose three options of ice cream, vanilla cookies, chocolate, and chocolate chilli. I most favorite one is the vanilla cookies, but you must grab it fast because it also gone really fast! I don’t recommend the chocolate chilli because the taste is just too weird. After that, you can also choose toppings with peanut, chocolate wrinkles, and cheese. Also some syrup, maple, strawberry, chocolate. My suggestion, give it cheese and peanut, taste awesome! 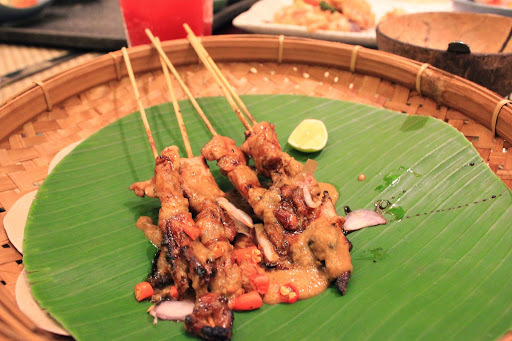 The third one provide Sate Ayam, Sate Kambing and also some selections of Tempe Rice, and other kind of Rice. I love the Sate Ayam! 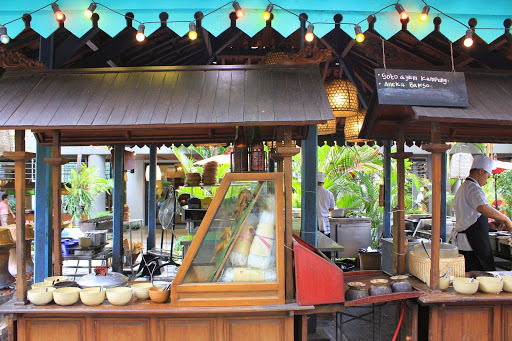 1 portion only consist of 5 Satay, so if you want more just say the number directly to the chef, for example 15 satay, please. Fourth one is the fried Indonesian food. There are Tahu Isi, Tempe Goreng, Spring Rolls, and others. It’s not that interesting and also not that tempting. I only tried the Spring rolls and taste fine, but not great. The fifth one is Indonesian traditional snack. Taste great with a wide range of selections! The sixth one is the pudding and also ice selections. There are varieties of pudding, but I still can’t find the one that I truly love. 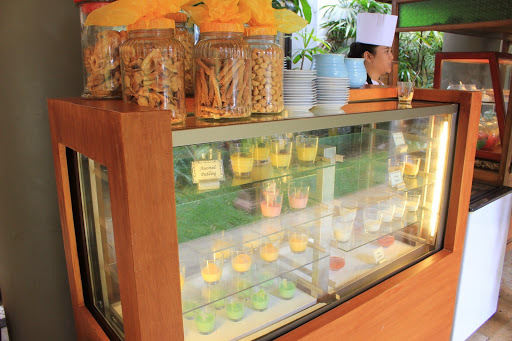 For the ice, try the pudding ice (you will get a matcha ice cream too) and also the es campur. Moving on to the upper part near the outdoor seats. 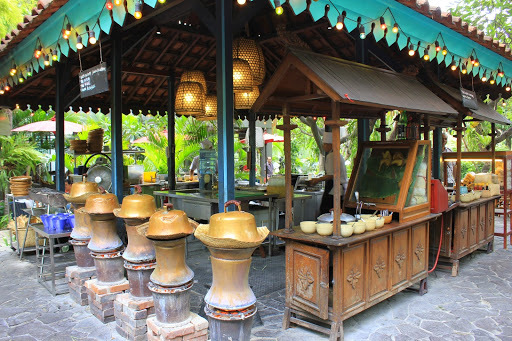 Here, they offer selections of steam Indonesian food such as Ketela, Pisang (Banana), Rice, and others. 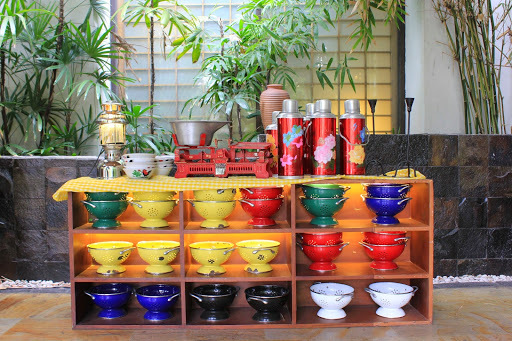 Also, you can taste Soto Ayam, Bakso, and ordered Indonesian fried noodle or fried rice. The Soto Ayam, Bakso (pick the Bakso Kasar) and fried noodle is highly recommended! For those who love spicy, try the spicy fried noodle. It’s yum! Overall, I’m truly satisfied eating here! Especially since I eat three times in a week, hahahaha! A great choice if you go with family, colleagues, and friends. Let me close it with something nice, yes, it’s my favourite combination of waffle, ice cream, and toppings here. 3 restaurants together!! Oh how cool!! I have never heard all this before. I wonder if there are such San Francisco restaurants that have been blended together!! Actually I am a foodie and I would love eating there. Hey, I'm also a foodie! Hahaha! 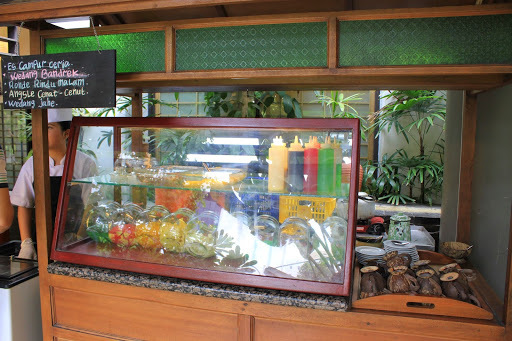 Thank for your information about Surabaya Hotels.